DKNY embraces its American heritage with numerous athleisure styles that evoke the inimitable energy of the Big Apple. Girls and boys play with proportions, shapes, and materials, creating looks that are all their own. Teens mix and match their look, blending fashion with sport and injecting energy into their everyday wardrobes, living by the mantra “DKNY Never Sleeps”. 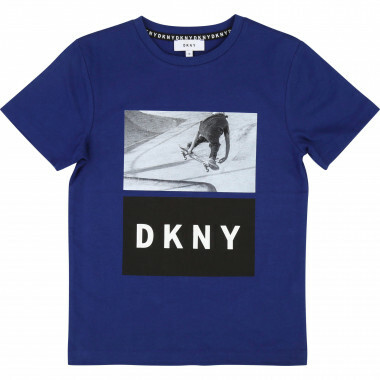 Inspired by New York eclecticism, the selection of DKNY children’s clothing is a reflection of the latest urban fashion trends, allowing each little one to shine brightly. 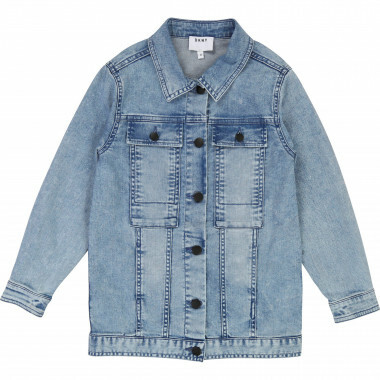 This brand has managed to concentrate the Big Apple’s energy in practical garments for kids that are perfect for everyday wear. True to their sporty-chic style, DKNY are firmly committed to the combination of black and white. 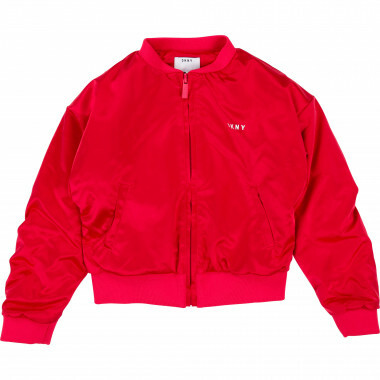 The monochromatic character of the DKNY kids clothing is what gives their bomber jackets and jumpers extra pizzazz. 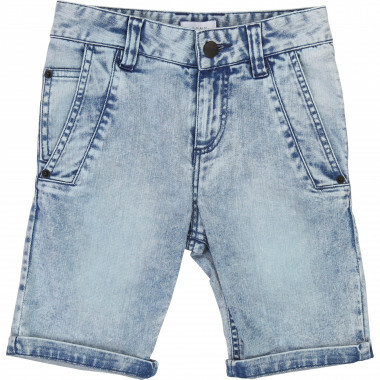 Combine them with a pair of slim-fitting sweatpants and your child will have all the freedom of movement that they need to enjoy a thousand adventures. 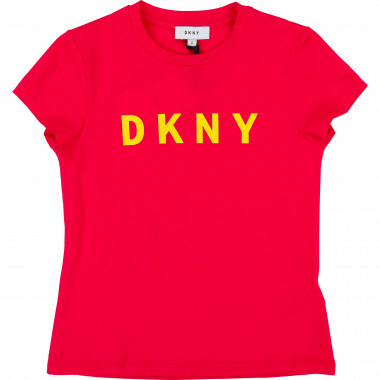 Colour makes an appearance on the DKNY girls and boys T-shirts, decorated with messages of empowerment and minimalist designs that are perfect for achieving that trendy cool and casual style. Pair the girls’ tops with a pleated tulle skirt for a modern look that will make your daughter feel like a true runway model. 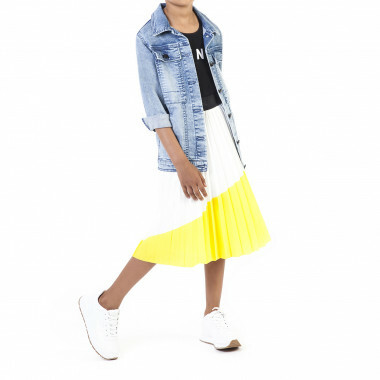 The DKNY dresses for girls also offer a splash of colour, but mains of DKNY’s muted tones can rest easy: there are still a selection in shades of grey, as well as silver for a chic style. We love the knit dresses with the brand’s logo – the simplicity is what makes them stand out, leaving space for the real to shine: your little girl.  The DKNY baby clothes have also repeated this minimalist formula, with their legging and T-shirt sets and dresses that are the epitome of elegant simplicity. 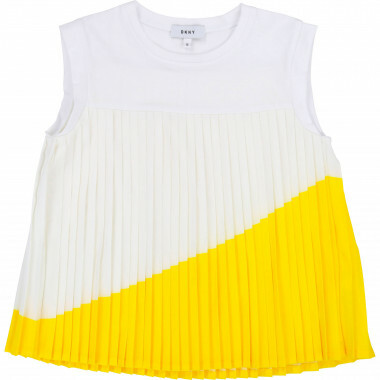 A baby girl in DKNY will always be fashionable, as well as comfortable!